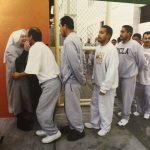 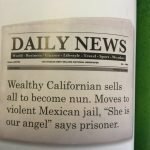 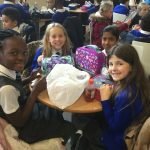 How is the money raised spent? 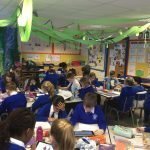 It’s lovely to be back teaching year 5 after what seems like a very long time in year 6. 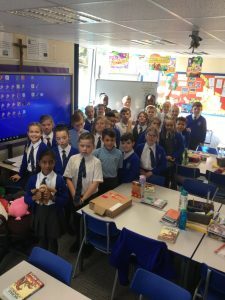 I have taught at St. Mary’s for almost all my teaching career and love this school, so much so, my own children came here. 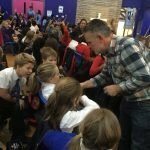 What greater testament is that! 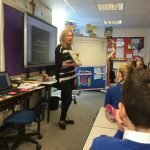 When I’m not teaching I love reading, the cinema, weekends at the coast and walking, to name but a few things. 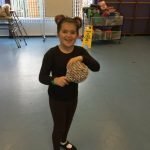 Our family has two small dogs, Tilly a scruffy terrier cross and Fifi, a pug, both of whom take up a big part of my downtime but I wouldn’t have it any other way. 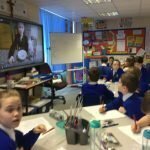 I love teaching, seeing a child grow and being there first hand to witness their learning is a joy and a privilege – something I’ll never grow tired of. 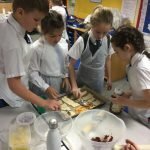 What a great job to be in! 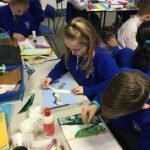 Year 5 made some fabulous Easter cards using colour washes to represent the sky at the Crucifixion. 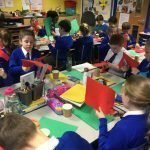 We put our design hats on and designed wonderful Easter bonnets in class. 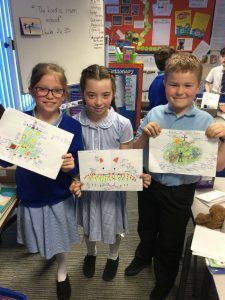 Our winners were Philippa, Joshua and Emily. 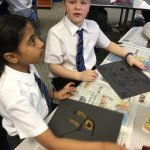 I was blown away with their amazing designs and the attention to detail. 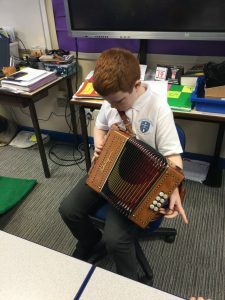 Ethan brought in his accordion and wowed the class with his super skills – the class asked him questions about the instrument and how he got into playing the accordion, clapping his fantastic tune playing, which got us all toe tapping along! 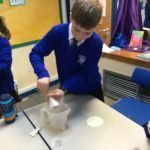 What a fantastic skill to have Ethan! 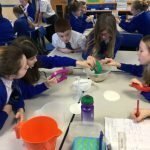 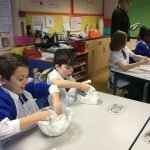 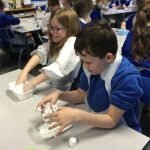 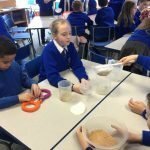 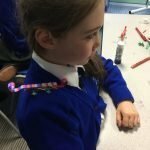 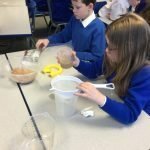 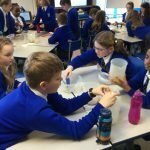 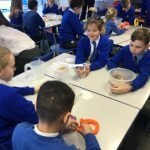 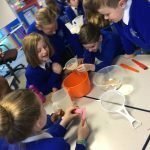 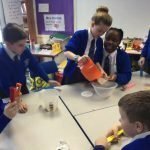 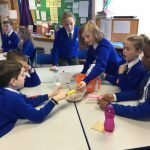 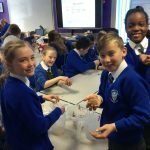 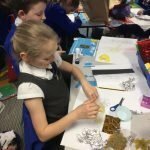 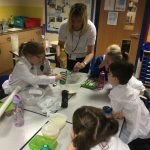 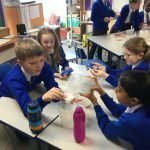 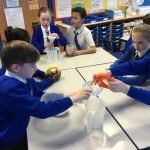 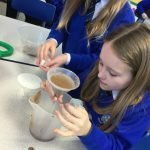 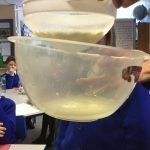 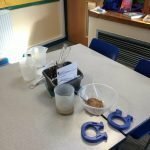 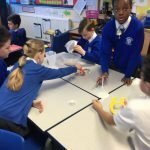 Year 5 had a whole day experimenting around materials and their properties with Mrs Sheldon-Price. 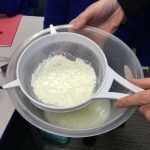 They separated solids from liquids finding the best methods, looked at changes when mixing milk with vinegar, and learned about chemical changes being irreversible. 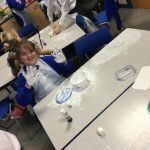 The day ended with some very very messy slime making! 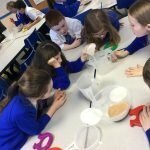 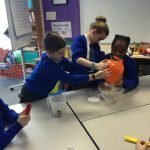 The children loved their fun packed science day and learned so much! 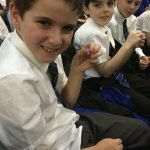 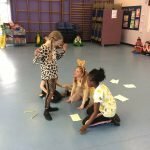 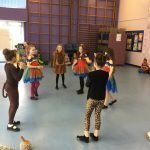 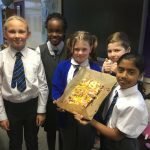 What a fantastic week we’ve had in year 5! 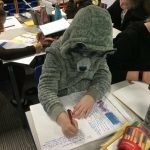 Writing week has been so much fun! 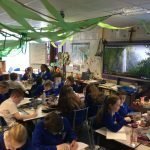 We transformed our classroom in to the rainforest (thank you to parents for helping with rainforest plants for display), adding to the transformation each day as we learned about Bromeliads, the 4 layers of the rainforest and the poison dart frog. 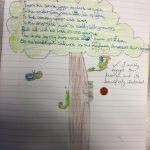 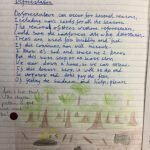 We listened to the sounds of the rainforest as inspiration for poetry. 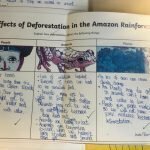 We watched with sadness video clips of deforestation, writing about the effect this has on plants, animals and indigenous people. 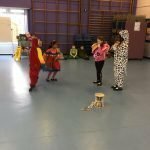 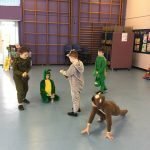 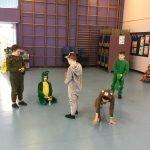 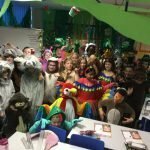 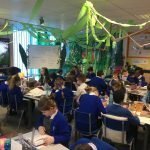 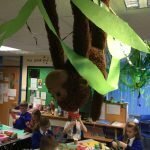 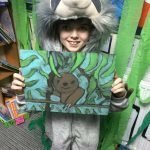 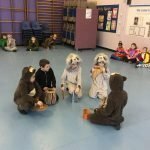 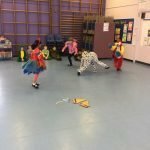 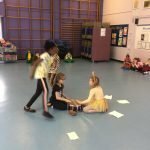 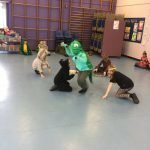 On “World Book Day” we dressed up as creatures from the rainforest, we listened to and read extracts from The Jungle Book by Rudyard Kipling, as stimulus for writing a story about being lost in the rainforest, and how the animals helped us to safety. 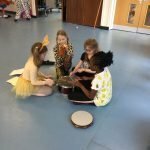 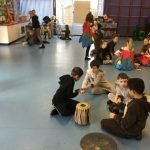 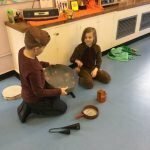 In the afternoon, in groups we did music and drama, creating rainforest scenes with accompanying percussion sounds. 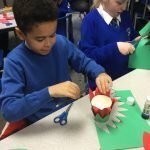 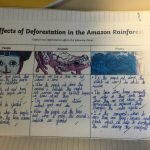 Writing week has been so much fun, we’re continuing into next week too making rainforest creature party hats in design technology and being newspaper reporters, writing a report on our wonderful week! 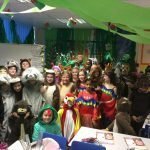 Our wonderful World Book day costumes! 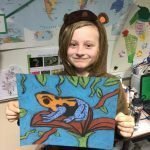 Finished bromeliad with poison dart frog! 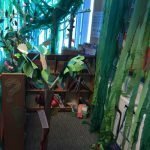 Kea felt really at home in our classroom rainforest. 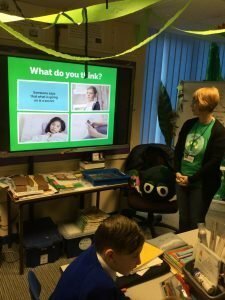 The NSPCC came in this week sharing assemblies with KS1 and KS2. 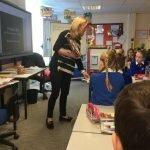 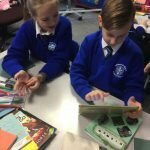 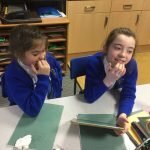 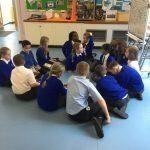 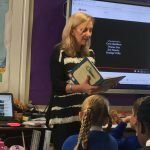 Year 5 then had a fantastic workshop with two lovely ladies from the Childline branch of the NSPCC, where we revisited the message of “SPEAK OUT. 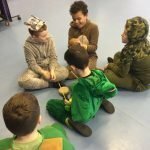 STAY SAFE” with Buddy the NSPCC mascot. 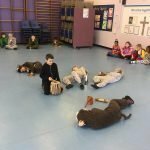 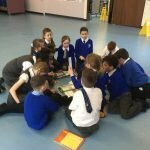 Year 5 have made their Lent promises and are ready to enjoy their journey through Lent to Easter. 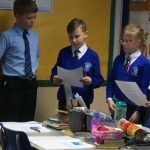 We had a fabulous debate in year 5 this week as to whether Mother Antonia Brenner was in fact a foolish woman or a woman of faith. 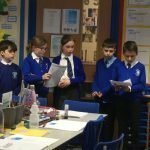 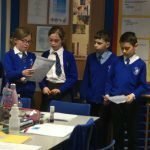 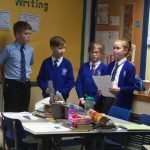 We listened to her story, and as a class debated both sides of the argument, then having listened to both sides we made our own individual choice on the issue. 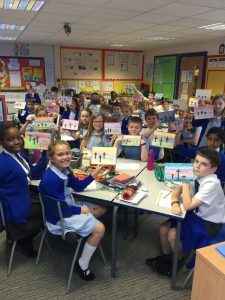 Year 5 have been busy thinking about pilgrimages people make, linking this to our work on our other faith – Islam. 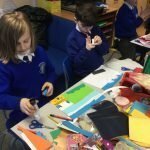 We have brought in lots of collage materials and created art work to show our thoughts and ideas on pilgrimage. 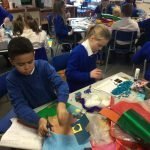 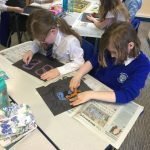 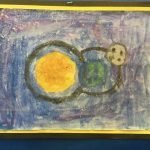 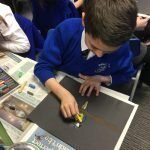 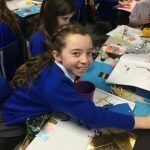 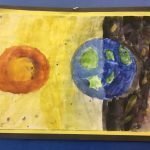 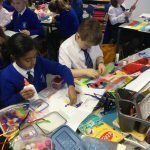 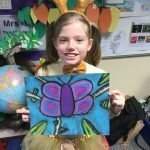 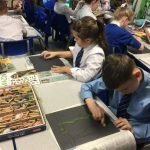 To finish our science topic and demonstrate our understanding of what we have learned, we had an art lesson, where we took each objective and painted our understanding of it. 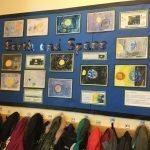 What a fantastic display our work made! 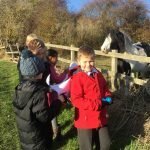 War Horse – the movie! 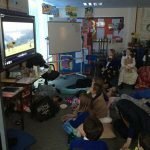 We’ve finished reading War Horse by Michael Morpurgo in class so as a Christmas treat watched the movie. 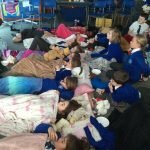 We brought in snuggle blankets, cuddly toys and cushions to relax with and ate scrumptious popcorn! 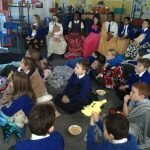 On reflection the children enjoyed the book more as the film missed out quite a few poignant moments from the story, which they weren’t happy about! 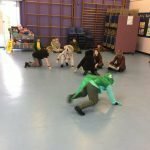 Kevin and his team came into school and did some wonderful liturgical dance, all around the Christmas Story. 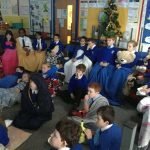 In year 5 we focussed on Mary hearing from the angel Gabriel that she was about to become a mother. 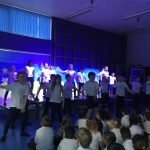 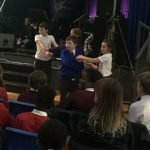 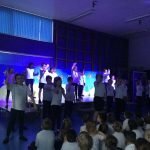 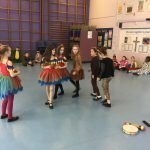 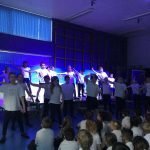 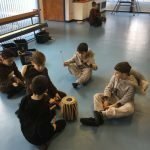 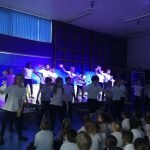 The children loved every minute, and I must say their performance to parents and staff and pupils alike brought a few tears to the eye! 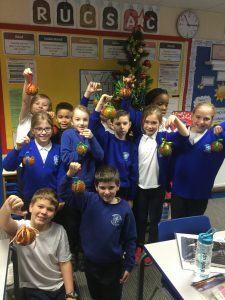 Year 5 made pomanders, which were used in medieval times to ward away evil spirits and illnesses like the plague! 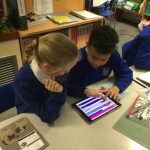 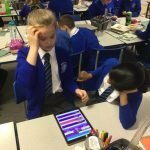 We had a great maths lesson today challenging our partners on Times Tables Rock Stars – improving our speeds and working through all the times tables – we’ll look at the Stats in class to see who’s our champion so far! 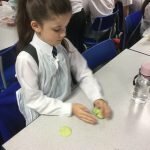 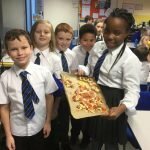 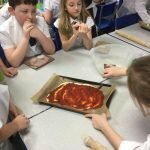 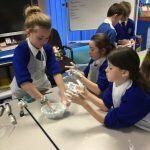 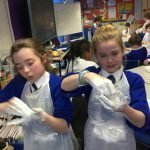 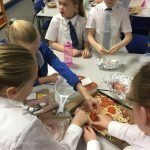 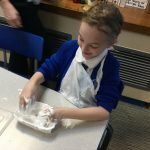 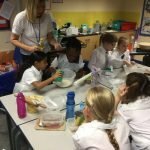 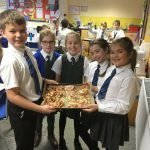 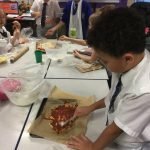 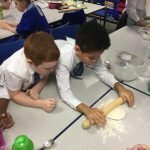 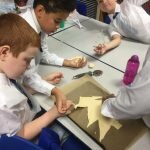 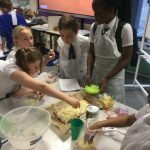 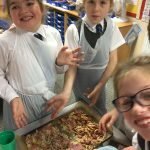 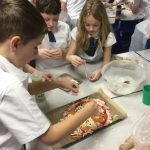 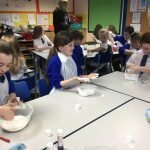 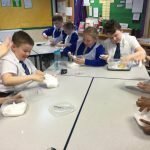 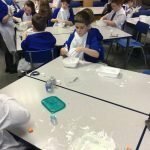 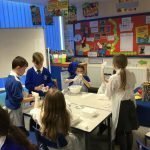 Food Technology – Pizza making! 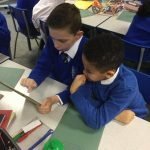 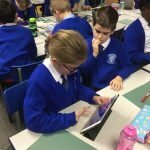 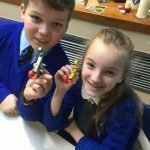 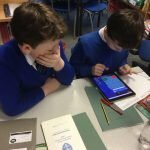 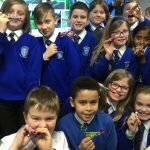 What a fabulous week we’ve had in year 5 in D/Tech. 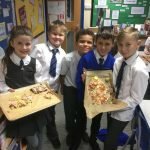 We started the week by researching pizza types, we looked at our favourite pizzas, then we designed our own choice pizzas for different occasions. 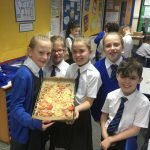 Lastly we got into groups and made a group choice pizza design for a special occasion and got to make it! 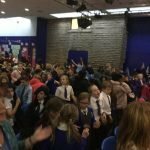 It’s been a fun packed working week! 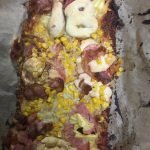 A Pizza for a children’s party. 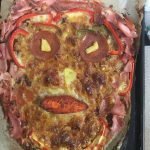 A pizza for a house warming. 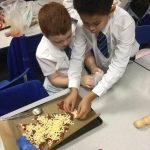 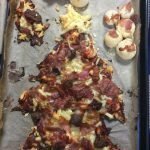 Party pizza pieces – nibbles! 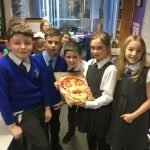 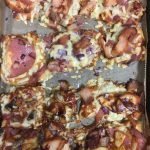 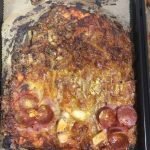 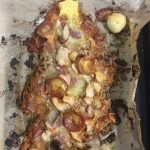 Lest we forget – a Remembrance pizza. 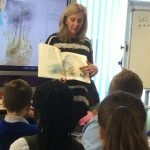 Year 5 had the pleasure of meeting Hilary Robinson, author of over 40 children’s books! 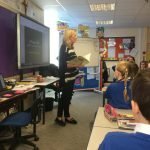 Hilary came in to talk specifically about her books featuring subjects from WW1, as part of our work being done in class around the 100 years armistice. 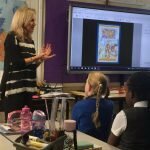 Children had the chance to ask Hilary questions and purchase signed copies of her books. 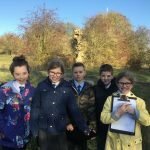 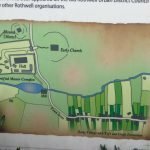 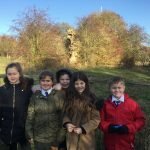 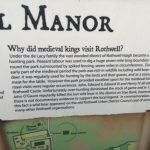 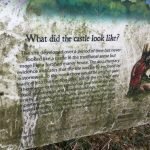 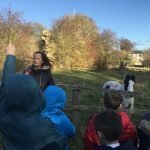 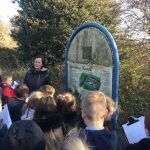 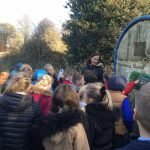 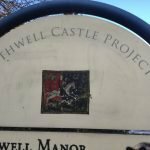 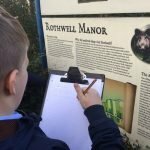 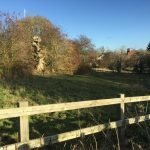 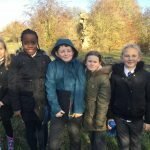 Mrs Hunt took the children on a walk around Rothwell to look at our famous “CASTLE”, a medieval ruin steeped in history. 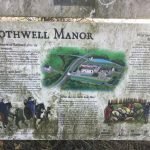 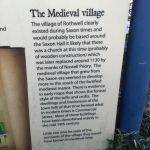 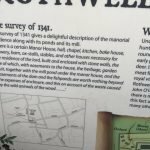 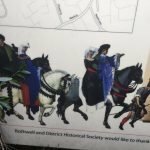 Time was then given to Rothwell’s famous Maypole and Stocks. 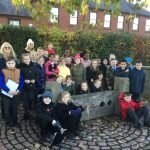 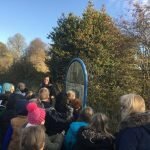 A fabulous history walk sparking wonderful discussions and research ready for our Local History topic this half term. 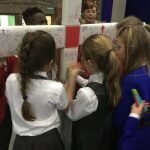 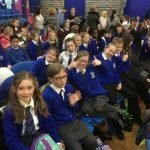 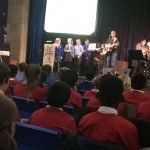 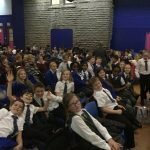 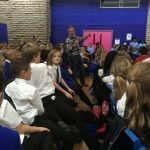 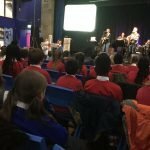 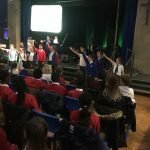 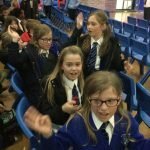 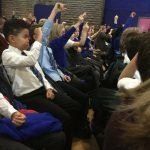 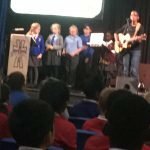 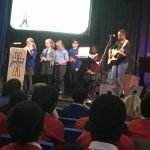 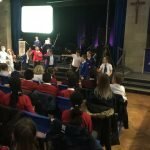 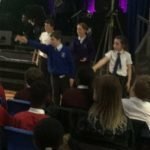 We’ve had a fantastic day at Mount St Mary’s high school, joining our Catholic partner schools at, “The Big Sing Liturgy Thing.” The children sang their hearts out and were a credit to our school – a super uplifting, joyous day! 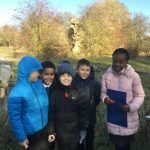 Kea came on our trip too! 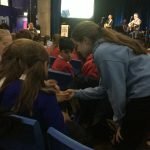 Making our mark on the cross. 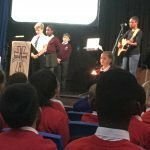 Oliver was the one to start our Liturgy. 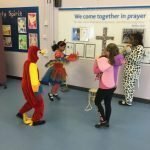 Liturgical dance led by Emily and Oscar. 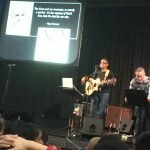 Our God is a great big God! 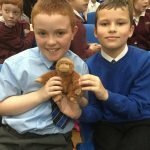 Our year 5 class have adopted a Sumatran Orangutan from the Durrell Conservation Trust, at Durrell Zoo in Jersey. 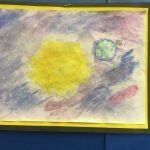 Her name is Kea. 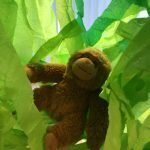 We’ll get updates as to how she’s doing and we also get to keep a mini cuddly Kea of our own, who’ll be visiting each of our homes throughout the year. 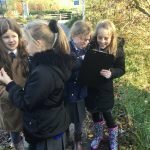 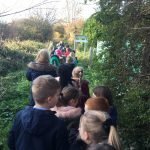 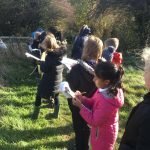 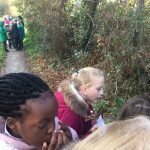 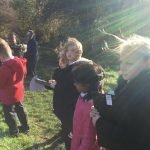 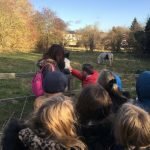 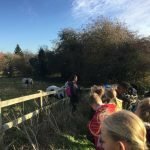 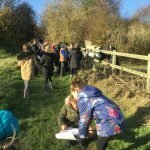 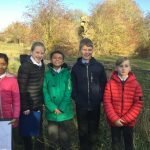 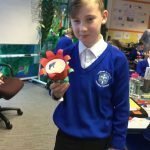 This is a great opportunity for our class to learn about wildlife and endangered species, and do our bit to help our world, especially the animals in it. 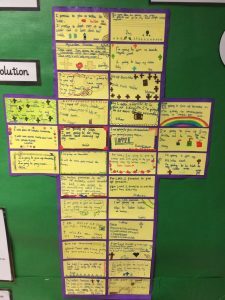 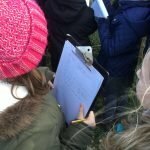 Please find below links to planning for Year 5. 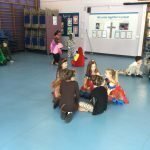 Within this planning you will find out about what we are covering this year, as well as our medium term plans for each half term. 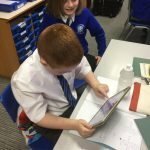 Following our Maths information evening for parents, we have shared some useful documents to see how Maths is taught in school. 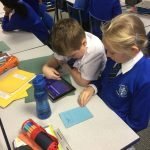 The most effective way for you to help would be to practise the ‘progression in number facts’ and times tables.